Hi everyone! I am going to review the first product from the Himalaya Herbals premium skin care range. 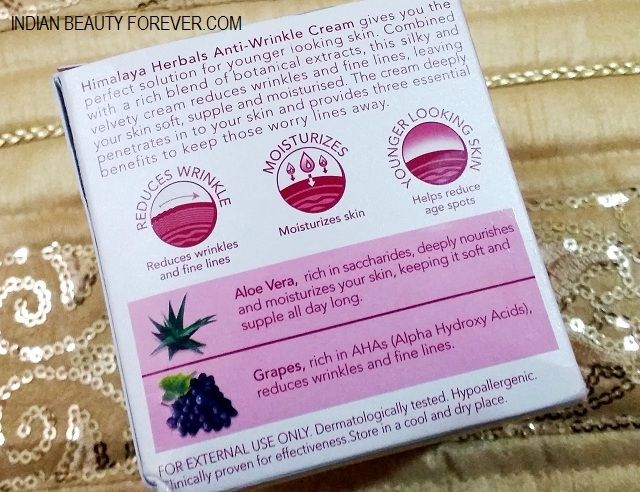 This is the anti wrinkle cream from Himalaya Herbals and I am also testing their oil free radiance gel cream since my skin is more on the combination side. This cream has been used by my mum which has aging mature skin and wrinkles are the primary concern in her age. So, let’s see how this cream fared for my mother. Aloe Vera, known for its many healing properties, is rich in polysaccharides and nutrients which exhibit antibacterial and anti-fungal action. It’s hydrating, softening and intense moisturizing properties nourish the skin and keep it soft and supple all day. Grape is rich in AHAs (Alpha Hydroxy Acids) that reduce wrinkles and fine lines. Massage Anti-Wrinkle Cream gently over cleansed face twice a day. For best results, use regularly. Anti-Wrinkle Cream is dermatologically tested, non-comedogenic, free of mineral oils and parabens, and hypoallergenic. 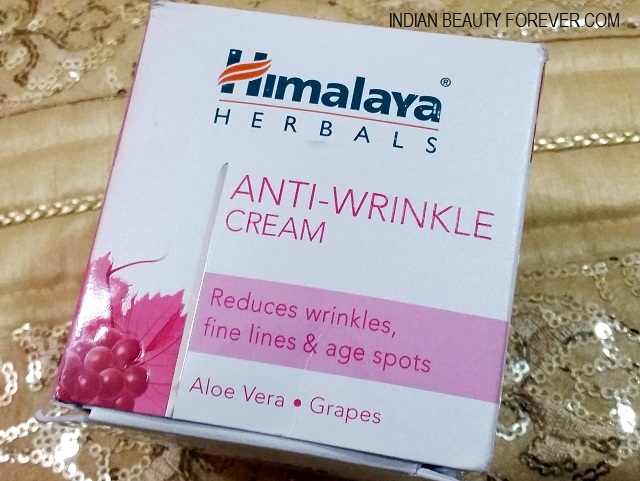 The Himalaya Herbals Anti Wrinkle Cream also comes in a similar looking packaging as that of the other creams from the same range. I find the packaging to be a bit little not so travel friendly as once a skin cream with glass jar container broke inside my bag and you can imagine what would have happened? The cream is whitish in color and has a light texture. I have observed that almost all the creams from this range of Himalaya herbals skin care range have very light texture and are non greasy. This also gets absorbed into the skin after some massaging. This isn’t oily or greasy but good enough to give enough moisturization to the skin at night. The cream works well to keep the skin moist at night and also to makes the texture smoother and glowing when you wake up. My mum is using this cream and liked this for her dry mature skin. She says that the cream gives moisturization and that is enough for her skin type. I also applied it once just to have a feel of the product and I took half the quantity that she takes and that fared well for me to give the moisture. 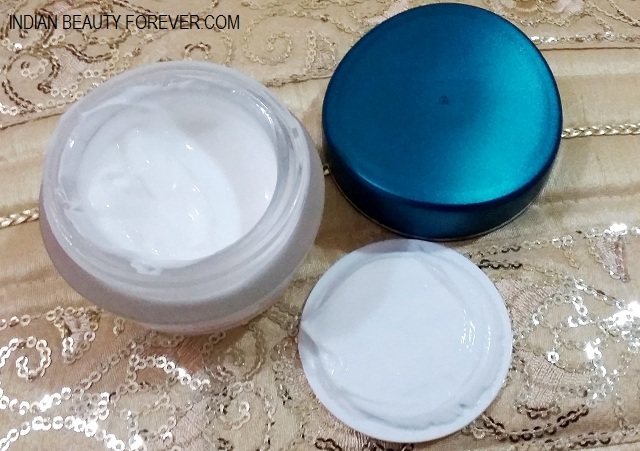 She says that the cream has given a nice plump appearance to the skin though when the skin gets dry after the face cleansing etc the lines are again visible therefore, I would say currently the cream has not done much to minimize the lines but it makes the skin plump and glowing which visibly reduces the lines from the skin. The cream contains grapes which are rich in Alpha Hydroxy Acids that smoothen out the wrinkle by increasing the cell renewal rate. 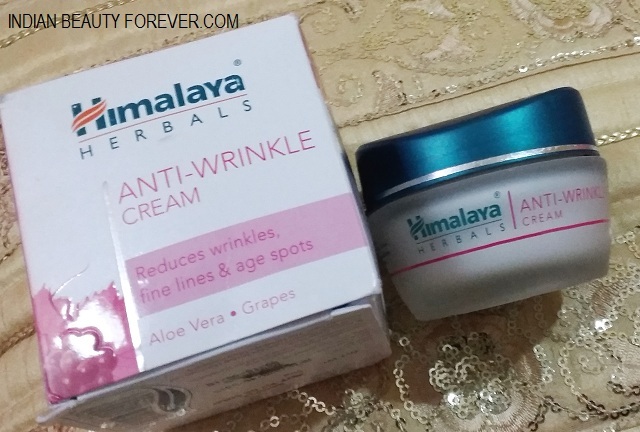 Take: Himalaya Herbals Anti Wrinkle Cream is a decent skin cream for wrinkle cure and prevention. The results may take time to lessen the lines but it does visibly reduce the appearance of lines by plumping the skin a bit and also by moisturizing the skin so that skin looks supple and with lesser lines. This looks great as everyday cream!!! I think it does a decent job for the price we pay for it. I love Himalaya herbals anti wrinkle cream. Its really very nice!! I use it since last year.